More and more of us are working from home these days – whether on a freelance basis or simply full-time employed but remotely working from the office several days a week. This modern-day work life sounds ideal in theory – no lengthy commute, struggle to find childcare or dealing with difficult colleagues - but in practice it’s often a much different story. Working from a spare bedroom in your home means constantly having to fend off childcare or pet demands, for instance, and well, the washing machine and other home chores can often just be too tempting to ignore. Then there is the latest edition of Game of Thrones that just popped through the letter box that very day...it all adds up to far too many temptations, demands and ultimately a disruption to our thinking. The ultimate result is a loss in productivity, a never-ending need to ‘catch up’ with work and ‘stress.’ And this is why so many people find the only solution to working from home is to base their home office in the garden. Space away from the house. Not only does a garden room result in a physical separation between your home and office, but a mental one too. Being in a separate entity (your garden room) means you are not constantly seeing the familiar items of home every time you look up from the computer screen, but there is also the sense that you are out of the home and have become ‘an individual at work.’ In other words, you’re not distracted by whatever needs doing in the house. Added value to your home. 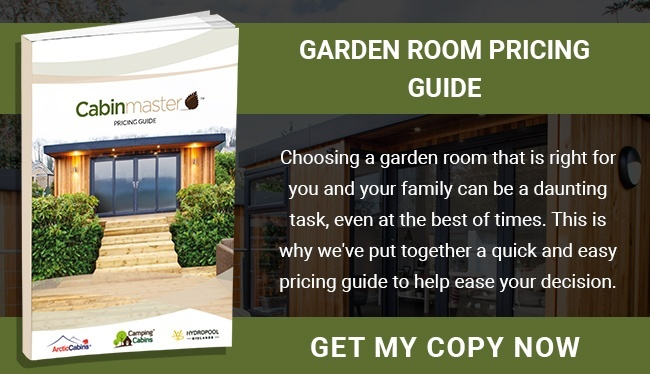 Those householders who have been tempted to save money by converting their garden shed into a home office DIY-style will find there is no profit to be made when it comes to selling on their home. 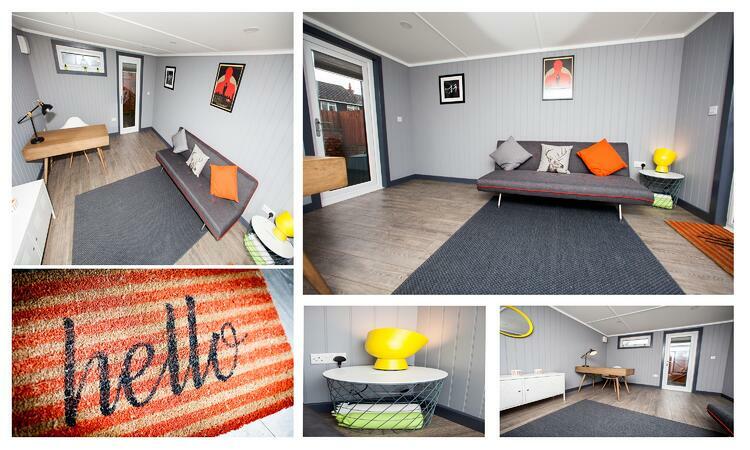 Converted sheds make terrible offices – cold, damp, drafty and musty. Householders who have added a bespoke garden office, on the other hand, will probably find it easier to sell their home as their garden room can be viewed as a delightful ‘asset.’ It is realistic to expect a high quality garden room to add £5-£10k onto the value of your property when you come to sell. Less expensive than co-working. Sharing an office space with other freelance workers has its benefits in that there is certainly the social and networking aspect. However, this can also prove to be a distraction. There is also the commute – or walk – into the office. But more than that, you will be looking at a cost of at least £100 - £500 a month. It may not seem that much initially, but after a year that’s over a grand you’ve spent with nothing permanent to show for it. With a garden room you will be able to see what you have spent your money on every single time you look out your back window – and every payment will be made towards an asset that is yours to own. 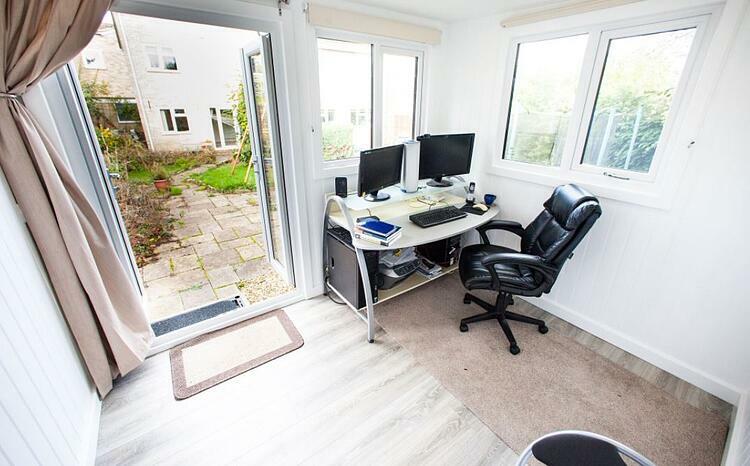 If you are currently weighing up the pros and cons of investing in a home office in the garden then do get in touch with our team here at Cabin Master. We will be happy to answer any questions you might have. We are proud of the bespoke creations we have designed for hundreds of customers in and around the East Midlands over the years. Take a look around our website to see some examples, or pop by our Stapleford show site to see a wide range of Garden Room styles ‘in the flesh’. Our team can be reached by phone on 0115 932 8888, or drop us an email for more information. 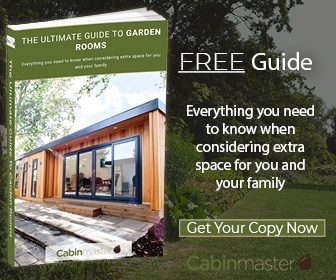 To find out more about Garden Offices, please download our free Ultimate Guide To Garden Rooms by clicking here.